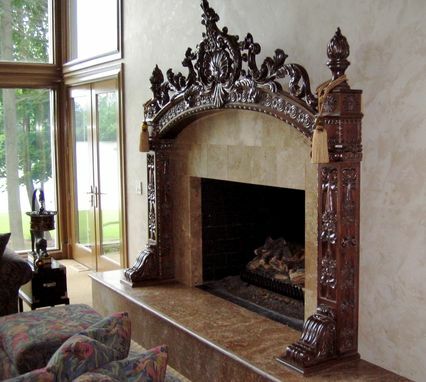 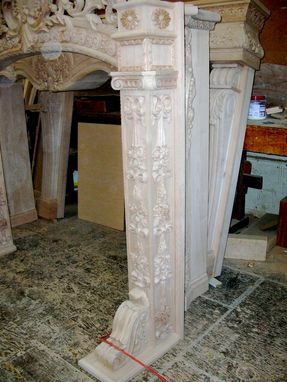 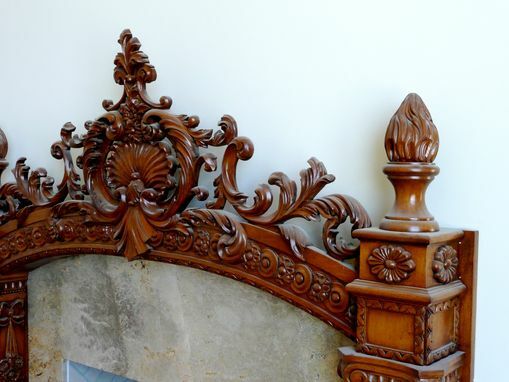 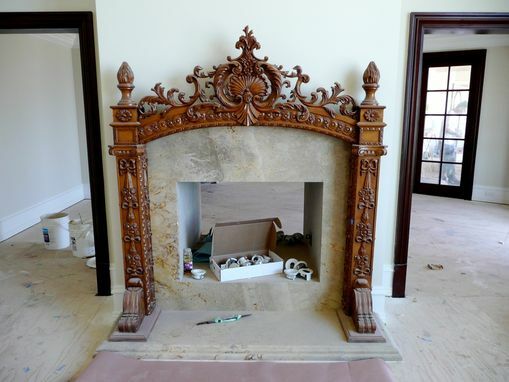 Hand Carved Alder Fireplace Mantel. 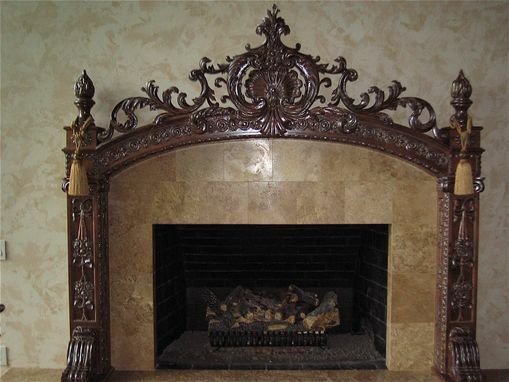 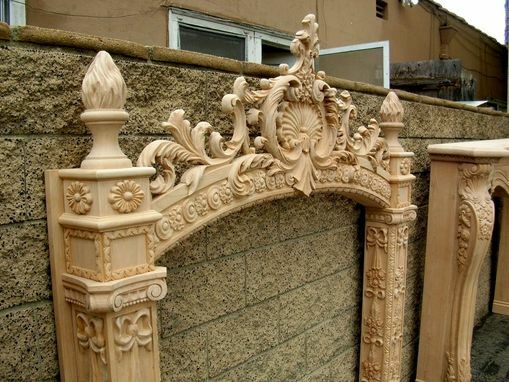 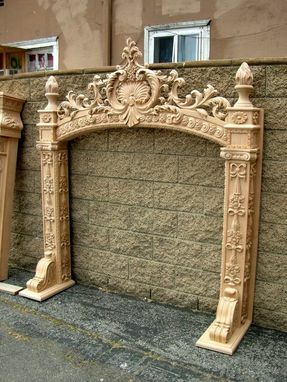 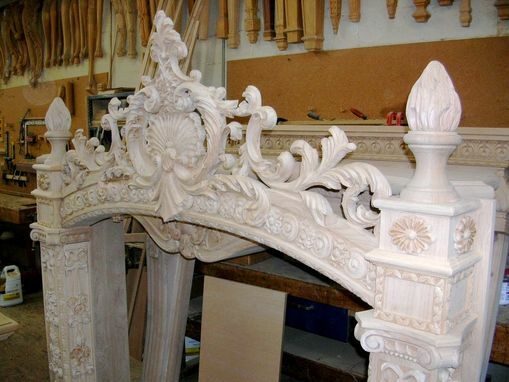 This mantel can be made to your specific sizes. Each County has there specific fire codes to allow proper clearance from the firebox .